Manage complexity. Reduce costs. Promote growth. Focus on Growth, not Technology. The dynamic nature of payments requires that you stay actively involved with all of your vendors and processors to maximize your revenue potential and minimize your transaction and management costs. Let SparrowOne’s experts own the active management of your merchant relationships. Payments have lots of moving parts. Daily transactions, subscription billing, chargebacks and fraud are just a few of your worries. Leverage SparrowOne’s intuitive payment gateway to manage all your payments from one platform. If you are handling payments, it is only a matter of time before your system will be attacked. Integrate the leading protection systems and fraud tools to defend your infrastructure from anyone that means you harm. Use the MPS platform to measure and manage your payment ecosystem. MPS provides comprehensive out-of-the box reporting tools and the ability to completely customize reports to meet your specific situation. Can’t hire the payments expertise you need? Is your budget constrained so that you can’t hire the resource you need to stay on top of your payments? It may be time to ask SparrowOne to engage our experts to outsource specific activities or the department that supports your payments infrastructure. The cost of payments is more than just the transaction rate that you see on your merchant statements. Learn why your true cost might be close to double what you believe you are paying. SparrowOne’s model combines the best-of-breed payments technology with actively managed payment services. Merchants want to focus on growing their business, not managing the technology of payment services. They need a comprehensive solution that fits their business, is simple to implement, understand and use. Running out of resources when it comes to managing payments? No time to investigate new ways to allow customers to purchase from you? Let our payment experts help you to grow your business. SparrowOne is not just another payment gateway solutions provider. With a deep understanding of payment processing complexity, SparrowOne was founded more than a decade ago to support one of the most demanding customers possible, the United States Department of Defense. SparrowOne was tested against the highest benchmarks for security, scalability and international payment support and excelled. 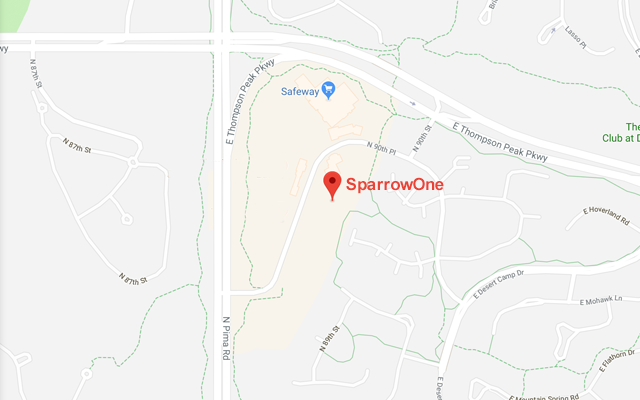 With a unique commitment to innovation and customization, SparrowOne sought out client companies that could not solve their payment processing problems with generic payment gateways and unsophisticated payment processors. Today, SparrowOne is recognized as a leading payment solutions partner for airlines, travel and other complex payment environments. Increased Client Control. A hybrid-model with a best-in-class payments platform coupled with merchant services that delivers uncommon client control. Reduced Costs. Innovative service offerings to reduce your payment processing burden and deliver dramatic cost savings. Fits Your Business. Uniquely developed and flexible for supporting custom payment environments. Risk Mitigation. Improved merchant account health for clients with elevated risk profiles; or for use in preventing such scenarios. Expert Support. Dedicated SparrowOne specialists and monitoring reduce transaction costs and risks, providing flexibility in changing markets.